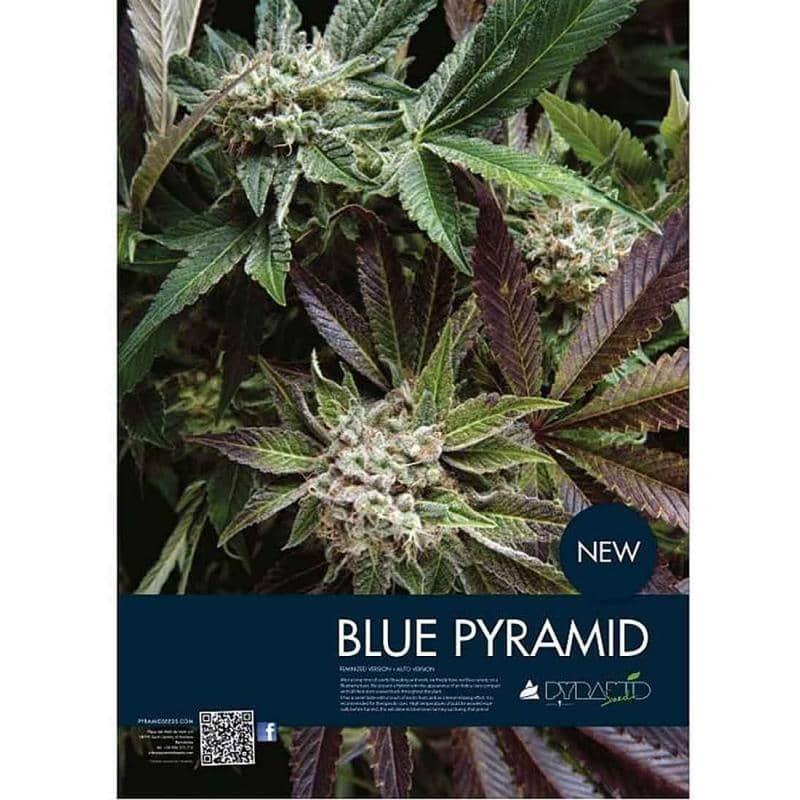 Blue Pyramid is a hybrid feminized Marijuana with a robust and compact appearance offering a sweet flavor with an exotic hint. Due to its high THC content, this strain will leave at peace with the world. lue Pyramid is a hybrid feminized Marijuana, the result of a long and laborious task of choice using the Blueberry strain as base. The blue version of Pyramid Seeds is a hybrid of Indica appearance, compact plant that produces thick and resinous buds. Due to its high THC content (22%), its intense effect will leave totally relaxed and as so, it can also be used to relieve any pain. 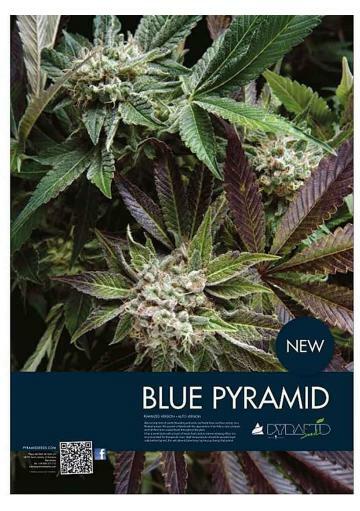 Blue Pyramid produces Marijuana of fruity sweet flavor with undertones of exotic fruits, an inheritance of the Blue genetics. The plant has mainly East India characteristics with a very robust and compact apperance and moderate size producing very resinous buds after only 50-55 days of flowering. Moreover, if this specimen is subjected to low temperatures at the end of the flowering its leaves will acquire blue and purple tones, a wonder to behold. In the outside you will get a plant with 60-120cm of height able to give you up to 600 grams per square meter. In the garden, the plant will reach heights ranging from 80 and 180cm high with outstanding outcomes in September from half a kilo to 1kg per plant. Delve into the blue pyramid of Pharaoh and discover what it has to give: we assure you that is a blessing.